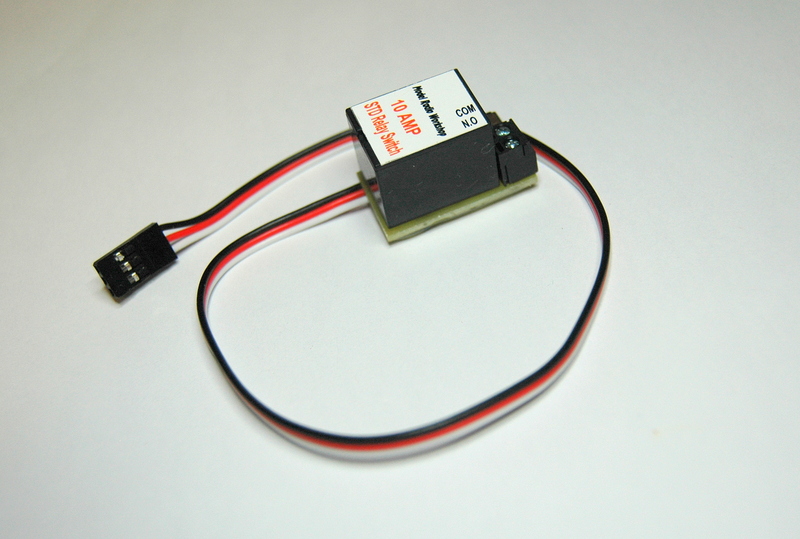 The Standard Relay Switch has been designed to allow RC modellers to switch ancillary electrical devices like lights, flare or a camera. The contacts can handle up to 10 Amps and up 20 Volts. 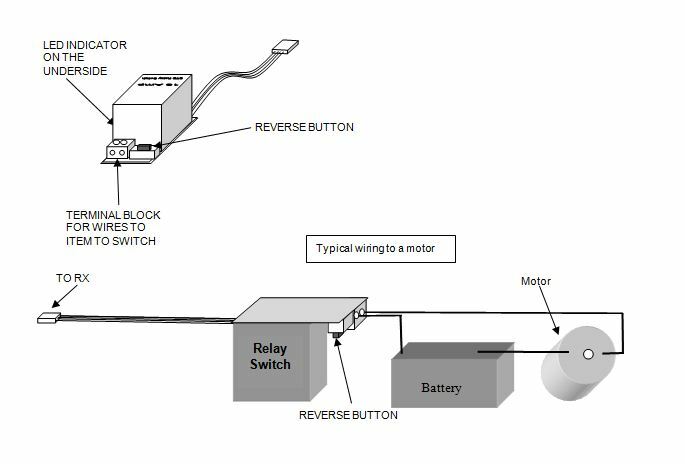 If you find the Relay Switch is operating in the wrong direction for the switch channel you are using and channel reverse is not available on your radio or you are operating it with another device on that channel via a “Y” lead that needs to operate in a particular direction. Please ensure that the set-up key cannot be pressed accidentally while the unit is in use.